Enlist the legendary bounty hunter, Boba Fett, to protect your money with this awesome Star Wars Boba Fett Bi-Fold Boxed Wallet. Celebrate Star Wars with a design inspired by Boba Fett! 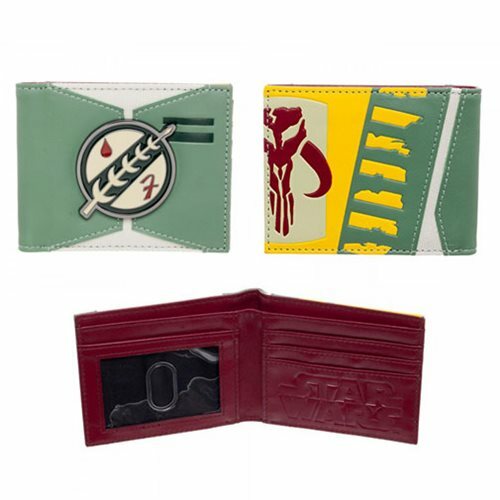 This wallet displays the Mandalorian Insignia on the outside of the wallet and has three horizontal card pockets, two vertical card pockets, one transparent ID Window, and a full-size currency compartment. Ages 14 and up.